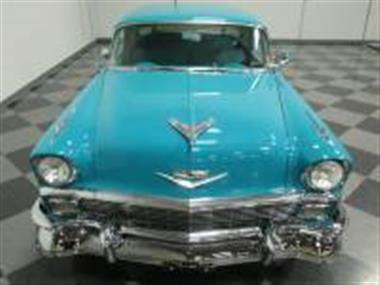 1956 Chevrolet Nomad in Lithia Springs, GA for sale. Price Analysis: Poor Deal, 26.0 % above market avg. What's this? 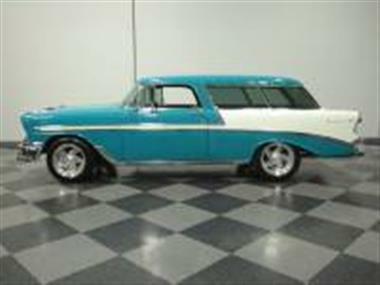 There was a time when this 1956 Chevrolet Nomad would have been overlooked for its hardtop siblingsand#44; but that day is long gone. 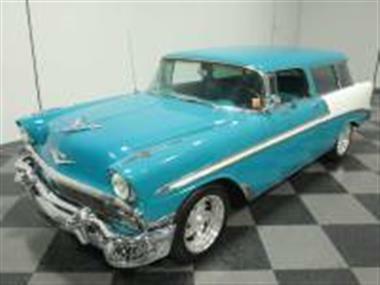 Today the Nomad is near the top of every Chevy fans wish listand#44; and this gorgeous wagon gets a lot of things right: great colorsand#44; gorgeous interiorand#44; and a fully sorted LS1 drivetrain that offers more power and more comfort than you could get from the factory in 1956.<br /> <br /> The combination is pretty close to India Ivory over Twilight Turquoiseand#44; giving this warmed-over Nomad a very period look. 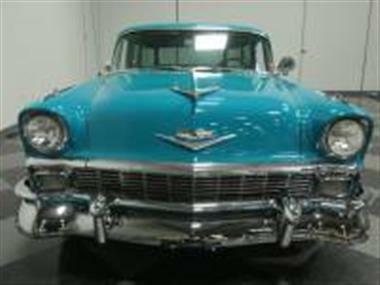 Theres no denying the handsome good looks of this 2-door wagonand#44; and what it lacked in practicality it more than made up for with pure style. The restoration focused on getting the basics rightand#44; since nobody in his right mind would think he could improve on the factory lookand#44; and the high-quality bodywork looks fantastic. Good gapsand#44; super straight panelsand#44; and deepand#44; glossy paint make this a jaw-dropper when you roll into a show. Its got a few signs of use that are quite minorand#44; and for many enthusiastsand#44; the simple 56 is the best-looking of the Tri-Five Chevys. 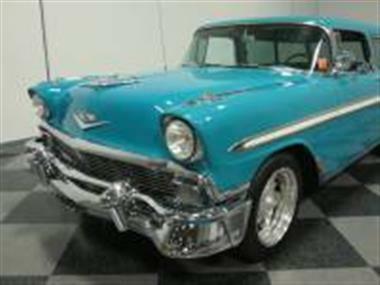 This one also carries upscale Bel Air trim (which was the only way you could get a Nomad) that includes that dramatic side spear and all the chrome has been refinished to show standardsand#44; so it truly sparkles in the sun. Cross-country haulers just dont get much better than this.<br /> <br /> The interior keeps things pretty stockand#44; tooand#44; with factory seats wearing reproduction upholstery that looks straight off the showroom floor. The textured cloth inserts are a funky 50s look that is very appealing and the sweeping two-tone door panels emulate the exterior trim. Things like the dashboardand#44; headlinerand#44; and carpets are all pretty much the way they were in 1956and#44; although expert eyes might see a few upgrades. 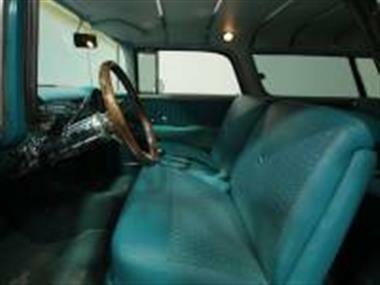 For exampleand#44; the shift quadrant now manages four forward gears instead of twoand#44; the steering wheel is a wood-rimmed unit thats on a tilt columnand#44; and there are little vents tucked under the dash for the modern A/C system which blows ice cold. Theres also an AM/FM/CD radio that sounds pretty darned good and the gauges appear to have been restored along with the rest of the car and remain fully functional. The cargo bay is correctly finished and offers a good deal of storage spaceand#44; making this a fantastic road trip candidate.<br /> <br /> The engine is still technically a small block Chevy V8and#44; but the 5.7 liter LS1 V8 from a 2004 GTO is a far cry from the original 265. It obviously fits beautifully and thanks to fuel injection and hardwareand#44; its as reliable as your daily driver and quite a bit more powerful. 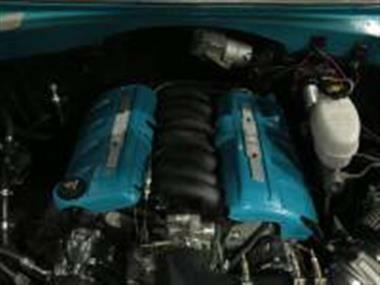 Color-matched coil covers add a dressed-up lookand#44; but the rest uses OEM parts wherever possible to ensure reliability and easy service. A 4L60E 4-speed automatic overdrive transmission is a big part of the reason this car is such a pleasure to drive and the recent dual exhaust system has a pleasant burble at idle and just enough of an edge on the roll to let you know this isnt a stock Nomad. The undercarriage is quite clean and includes 4-wheel disc brakesand#44; power steeringand#44; and 17-inch Billet Specialties wheels wearing 225/55/17 front and 255/50/17 rear performance radials.<br /> <br /> Fully sorted and ready to enjoyand#44; this car just works like it should. With great looksand#44; a wonderful color combinationand#44; and that timeless Nomad appealand#44; this car delivers in a big way. Call now! 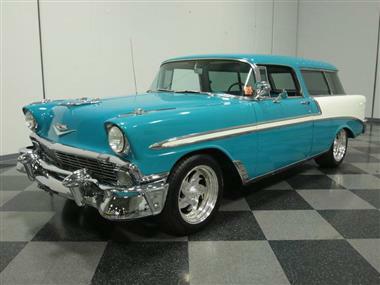 This vehicle is priced $21,248 more than the Average Market Price of $61,747 for a 1956 Chevrolet Nomad. This is a Poor Deal as it's priced 26.0 % above market avg. The Pie chart below shows the number of ads within different price ranges.